EDINBURG — Coming into Monday’s exhibition game, RGV Vipers rookie Tim Bond, who played four years at Eastern Michigan University, had a face-to-face meeting with coach Joseph Blair. After the talk, Bond was eager to make his mark Monday. The Vipers started off a little sluggish, trailing by as many as six points early in the first quarter. Los Laguneros de la Comarca, of the Liga Nacional de Baloncesto Profesional in Mexico, brought an aggressive defensive style that slowed the Vipers’ speed early. Blair’s first substitution was Bond, and the 6-foot-6 170-pounder made the most of his opportunity. Bond scored six points in the first quarter to help the Vipers start to pull away. 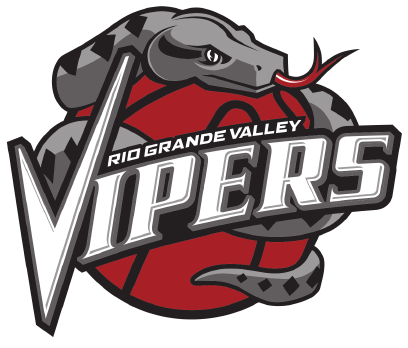 RGV ran away with the game at the end, winning 157-112 at the Vipers training facility. Bond finished the game with 15 points on 7-of-8 from the floor, a team-high six assists, a team-high four steals and one block. Of course, no player is perfect, and Bond is no exception. Once the Vipers got going, they never looked back, leading by as many as 51 points in the fourth quarter. Brandon Sampson scored 20 with 3 3-pointers. Bruno Caboclo added 18 points and five rebounds. Danuel House was dominant getting to the lane. Blair and his squad know there is still room for improvement. The Vipers had 15 turnovers and only shot 58.8 percent from the free-throw line. But, the Vipers like what they saw and have plenty to be encouraged about.